As a black woman with a beautiful rich skin tone, I always struggle to find the right foundation. Seeing as the melanin infused race comes in many tones it is very hard to find the right shade let alone the right undertone. So I made it my mission to find the perfect foundation for us melanin rich ladies without breaking the bank. Living in a multi-cultural country would have you believing that the (make-up)stores would try to cater to the needs of all groups of woman. Boy was I wrong! From the moment that I got into make-up more I saw that the offer for woman of color was Less! You have every shade from Snow white up until Vanilla beige, but everything after that kind of becomes nonexistent. And that really makes me think, what is the message that they are trying to send? So I went around town from store to store throughout time and I definitely came across a few places/brands that also have darker shade ranges in their collection and that felt like a breath of fresh air. Because even though I love me some higher end luxury goodies, I love my coints more. I tried out all the foundations that I have ever bought and tried them out for you guys, so you can see what is available. I will go in random order for the foundations. Some of these foundations will not be available in all countries because I will also mention local brands. This Foundation is the last foundation that I purchased. Simply because l ‘Oreal NL finally started expanding the shade ranges here in Holland. There are now 20 shades that can be purchased. The down side is that most of the time the darker shades are out of stock in the stores and the team will send you to go online to purchase The foundation. But let us be positive there are more shades ! On picture you can see that this foundation has a little reddish undertone. This I could already see from looking at the bottle but it is not as bad as I thought. Trying it out I was very surprised to see that it matched so well with my skin. And it doesn’t look bad at all. The foundation itself is very watery and the coverage is light to medium. But you can build it without feeling like you are wearing a mask. Love IT ! To be honest, jordana is the type of brand I usually don’t really look at. But it really deserves more credit. With great colors and a lot of shades it is highly overlooked. On the picture you can see that this foundation has a little bit of a pinkish undertone. And It comes very close to my natural skin tone. The foundation blends easy and is very full coverage depending on what you use to apply it. When using your foundation sponge or beauty blender it will be less high coverage. I would advise to apply with a brush and finish with a sponge. I’ve reviewed the foundation of L.A girl before and I just love the texture of the foundation. It feels very light and not cakey at all. It does not have a weird smell and the price is very good. On the face it blends very well and applies well with a blender and a brush. The only thing is that it is very illuminating making it look like you are greasier than you are. So if you have a more oily face I would not recommend it. But for this price I would say :”pick it up and try it out for yourself. The first thing I noticed with this foundation is that THIS is definitely NOT my color. I think that is the reason why I use this the least. But for the price this is definitely a very good foundation. It is light and buildable and if you can find the right color this might be a very good foundation for you. It is a hydrating foundation and it feels that way on the skin. It feels fresh and you almost forget that you are wearing foundation. I picked this baby up in a hurry but I must say , it did not do me wrong. Especially in the summertime when I have a little color a little of this foundation goes a long way. It is a medium to full coverage with a red undertone depending on the amount you put on. It goes on as a liquid but it finishes of like a soft powder. Because it has no oil in it , it is very well suited for people with oily skin . I’m not mad at it. I was very anxious to pick this foundation up and try it out, because I saw people rave about it on social media. So when I finally got my hands on this baby I was overexcited. When I got home and tried it out I was a little disappointed because it looked like I picked out the wrong color. It does match my skintone, it just does not match my undertone making it look a little ashy for me. When finishing it off with my powder it looks a lot better. What I do love is the great variety of colors that this line has so I am pretty sure that my color is in there somewhere. It is waterproof, matte and stays on for the entire day and that makes this foundation amazing for this price. Compared to all the other foundations this is a real life Cream foundation in a pod. So for me it was very akward to start using it. But once you get the hang of it, it blends very nicely. I would recommend applying it with a brush and finishing it with a sponge to remove any streaks. This particular foundation has a very yellow undertone but is perfect for my winterskin. In the winter I tend to get a very yellow undertone so it was easy to blend. It finishes as a powder making it very light weight and airy. It is not advise to finish this with to much powder. Be aware of that, because that can make you cake up. This might be my least favorite foundation. It has nothing to do with the color (eventhoug it makes me look supersick), nothing to do with the texture and even the price is amazing. THE SMELL of this foundation is so horrible. It smells like paint and makes it very hard for me to put on my face. This is very pittyfull since this foundation feels absolutely AMAZING on the skin! When applying this foundation it feels like you are rubbing a silky paper across the face. I love the fact that this store is making a serious effort to cater to more shades than just the fair skinned onces. Eventhough they did not get it all the way right , I give them an A for effort. If you are a woman of color and you have not yet heard of this baby right here. I might want to advice you to come out from hiding. Because this was my go to foundation for a good year. I love the fact that it is easy to apply and full coverage and it comes in almost every shade. Not to mention that it can be found in almost every Etos ( drugstore) in the larger cities. The undertone of this foundation is a little on the red side and because it is so thick it comes on even more red in person. Another faux pas is that this foundation is a little on the oilier side, making it a no go for the oily skin unless you are willing to blot your life away for the rest of the day. A little goes a long way with this foundation and the price and the quality make it one of the better drugstore foundations. This must be my favorite because of the finish and how close it comes to my skin color and tone. Black opal is specialized in the olive and darker skin tones and that is very noticeable. The foundation blends into the skin and does not move for the rest of the day. In combination with the black opal finishing powder this foundation looks flawless all day. 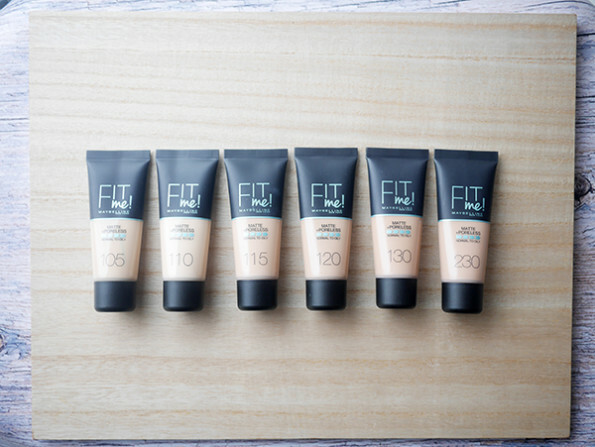 The foundation has a light to medium coverage that is buildable. This was the first foundation that I had ever purchased for myself. I did not want to go over budget and when I saw that this particular store came out with foundations for darker skin tones I was very happy. Their makeup corner brings out a lot of very good budget make up so I had to try this foundation out. The first thing I noticed was the depth and the richness of the color of the foundation. It looks like chocolate. It is a medium to full coverage foundation with a dewey finish, which I love because it makes you looks like you have a healthy sun kissed glow ( not orange). The only thing that I do not like about this foundation is that It oxidizes and gets a halve shade darker. Other than that I would definitely try to get your hands on it. Let me know what you think of the foundations. Which one looks the best on me and what budget foundation do u use and recommend?